With comprehensive texts and exquisite photography, our Puerto Rico coffee table books offer in-depth depictions of Puerto Rico and the people of the island. Puerto Rico Magnifico! 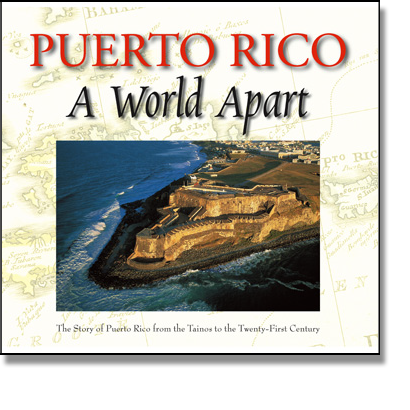 is a lush, large-format, coffee-table book portraying the history, culture, people, nature, geography, and scenery of Puerto Rico. The book features a special emphasis on aerial photography, and a “then-and-now” chapter is devoted to comparing historic archival black & white photographs with their counterpart modern scenes. This is, without question, our most extensive depiction of Puerto Rico, and has been acclaimed as the finest photographic-essay book ever produced about the island. 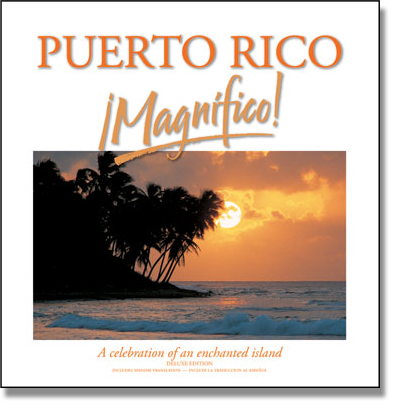 “Magnifico” in the title of “Puerto Rico Magnifico!” is pronounced “mag-NEE-fee-ko” and means “magnificent” in Spanish. It is properly spelled with an accent mark over the first “i”; but because some web browsers are unable to render accent marks correctly, we have omitted all accent marks on this website.